Do you find it hard to repair active leaks in hard-to-get-to places? Do you find it frustrating to deal with crack repair failure? 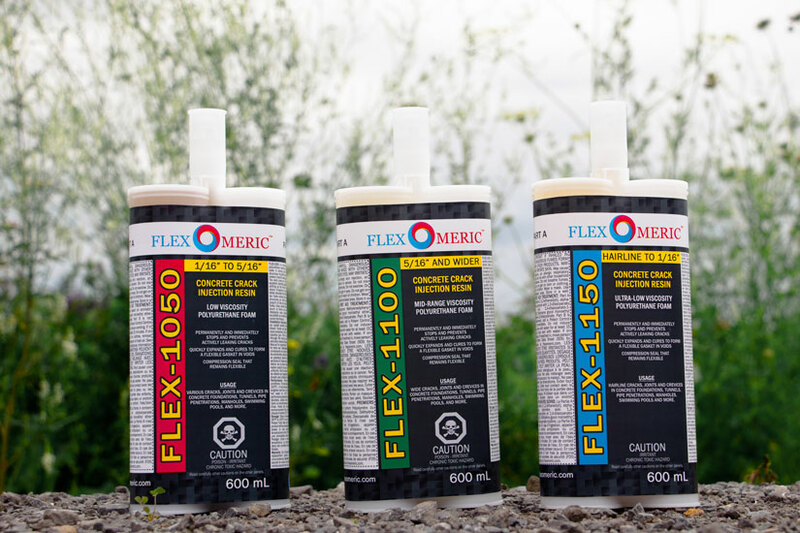 Do you need to economize on injection resin without compromising safety and quality? If you say ‘yes’ to any or all of the questions above, maybe it’s time for you to consider using polyurethane injection resin for your next crack repair project. To get the best results, use polyurethane foam to seal cracks and joints under the following conditions. Using traditional material like cement to repair an active leak can be a challenging proposition, as cement needs time to dry to thoroughly cover the leak. If you are working through an active leak, however, the best material under this condition should be a moisture- reactive resin that uses, and not repels, water as it works its way through the cracks to make them watertight. Polyurethane injection resin is water-activated, which means that active leaks bring out the adhesive properties of the resin so it forms a tight compressive seal. Because of its water-seeking property, it is important to pre-mist a dry surface, crack or joint before filling the void with the resin. Safety concerns are paramount when it comes to repairing cracks that potable water may come in contact with, as in the case of repairing cracks in water reservoirs. In this situation, go for polyurethane foam that is non-corrosive and solvent-free, and approved by American National Standards Institute-National Sanitation Foundation (ANSI/NSF 61) for use in potable water systems. All else being equal, cracks may occur due to poor quality of the native grade, which refers to the ground upon which the subgrade is placed. This is why it is crucial for the soil to be compacted before any construction is done, as shifting soil can cause structural cracks. In the event, however, that a structure has already been finished and non-structural cracks have started to appear, it is important to fill the void with polyurethane foam because of its elastomeric properties. This ensures that the crack remains watertight despite future shifting of the native grade as elastomeric resins are flexible and fill the void of the new cracks due to minor shifts. Unlike non-elastomeric foams, polyurethanes prevent moisture from seeping into the cracks, which if left unsealed, create bigger cracks that may become a structural problem over time. Non-structural cracks 5/16" in size or larger can be filled economically with the use of polyurethane resins. To allow the foam to achieve its maximum volume, pre-moist the surface if there is no active leak, and apply the resin gradually as it expands from 400% to 600% upon contact with water and forms a tight and tough seal therein. Cracks in utility vaults, subgrade pumphouses, lift stations, mines, tunnels, basements, manholes and pipe penetrations are best applied with polyurethanes. Instead of repairing these cracks using the conventional method of excavating, veeing-out, and packing the crack with a quick-setting cement, polyurethane resin can just be injected into port holes made alongside the cracks, and the resin finds its way into crevasses that may be hard to get to due to the nature of the structure repaired. For best results, choose polyurethane resin that has mid-range viscosity and gradually introduce it into cracks at low pressure (20 to 40 psi) to make sure that even the most inaccessible cracks are completely filled.